to share some fun ideas for using ric rac! Hi! I'm Virginia, Geeky&Sassy Mom who loves to sew, chat, connect and share ideas! Today I'm here to share a timeless, cute addition to many sewing projects and crafts. Ric-Rac. I adore it! It's on the bottom of my daughter's skirts, in hair bows, on the bottom of my tea towels and more. Thanks to my Mom and Grandma my stash got larger this month! Picture 1 - line up your fabric right side up with your ric rac on top. Line up the edge of the fabric with the bottom of the hill of the ric-rac. Do you see the red peeking out? Picture 2 - Sew a straight line down the middle. I put a chalk line so you could see it better. Picture 3 - This is what it will look like when you're done with this step. 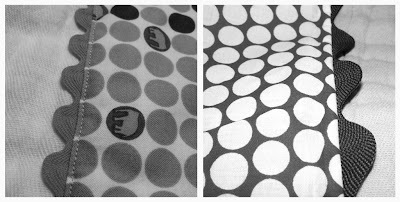 Picture 1 - Flip the ric rac over the fabric. This is what it looks like now from the back side. Picture 2 - The is what it looks like from the front side. Picture 3 - Now you can either top stitch it (straight stitch on the fabric) if you're doing a hem or you can add it to the top of your project (ie: a burp cloth). Picture 1 - embellish your project on top with a straight stitch. If you don't have a machine just hand stitch a tiny stitch at the top of every "hill". Picture 2 - zig zag stitch to embellish. Picture 3 - you can see how easily it can be put in an arch. 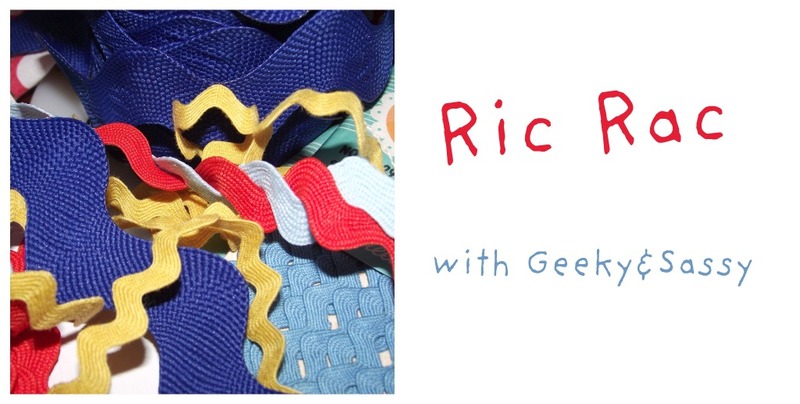 Here are a few burp cloths with rick rack! Picture 2 - Ready for the top stitch! Sandwich it between two pieces that have the right sides together. Pin. Sew around the edge and flip right side out. Great for blankets, burp cloths, napkin rings and more! Here are some photos for inspiration that I have found! The links to their blogs are below the pictures for their tutorials! Thank you Beth for inviting me to share a little something with all of your readers! You can find me blogging here, tweeting here, facebooking here and selling some things here! what a good idea! 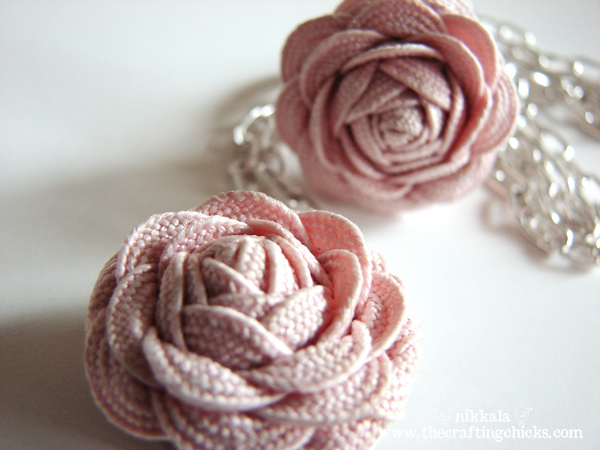 and, i love the ric rac flower tutorial you found. i'm going to look!